Handmade Thank You Card: Thanks A Million! 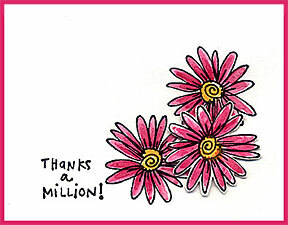 A handmade thank you card to say "Thanks a Million!" to someone who has done something for you; like a friend who has sent you a RAK (Random Acts of Kindness) or a colleague who has helped you out in a difficult situation. 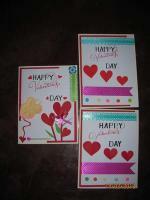 It's a very simple card that you can make in less than half an hour. 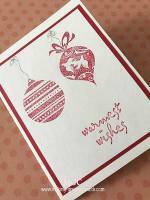 I used rubberstamps from Hero Arts (Zinia Bloom) and All Night Media (Simple Sentiments : Thanks A Millions!). 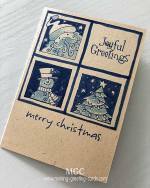 But you can use any other rubber stamp with a flora image and a thank you message stamp. Anyway, here's the card and below are the needed supplies and instructions. 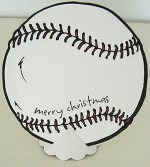 Hope you enjoy it and will make at least one to send to someone today just to say "Thanks a Million!" 2. Stamp an extra flower on a scrap piece of white cardstock. 3. Color all the three flower images with watercolor. 4. Cut out the third flower from the scrap piece of white cardstock. 5. Using a piece of foam tape, attach the third flower to the top of the other two flowers on the card. 6. Trim the white card and layered on the shocking pink card blank. 7. Stamp or write a message inside the card and send it out.